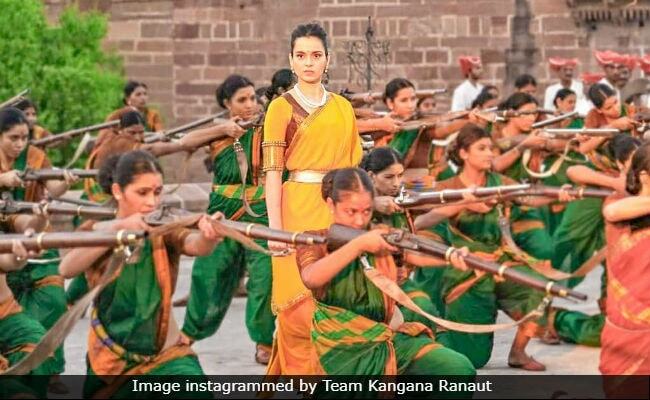 Manikarnika Movie Review: The film is Kangana Ranaut all the way. Her belief in her ability to carry the film on her shoulders is touching. 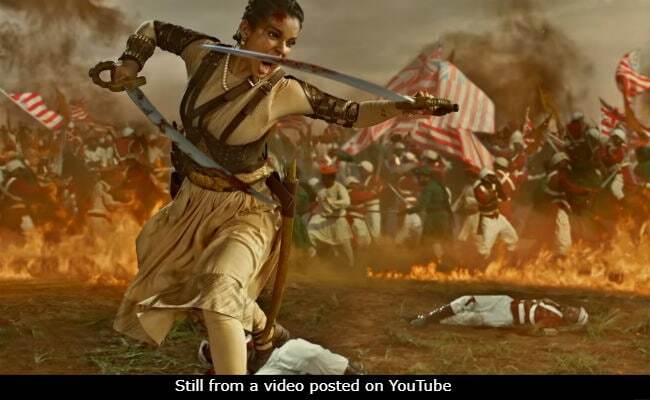 Avowedly meant to stimulate patriotic zeal - "matrubhumi se niswarth prem (selfless love for the motherland)" - among Indian moviegoers 160 years after Rani Laxmi Bai laid down her life on the battlefield, Manikarnika - The Queen of Jhansi, is too exhausting a film to send the audience home bubbling with enthusiasm. The visual effects are low-grade, the stilted dialogues reek of laziness, the onscreen performances are pedestrian and the sets have a hurriedly-erected feel. 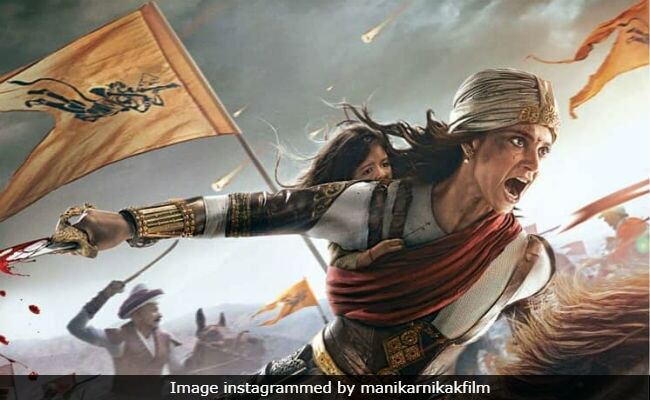 Manikarnika, for which lead actress Kangana Ranaut takes directing credit ahead of Radha Krishna Jagarlamudi, blows history to smithereens and reduces the Rani of Jhansi, one of greatest warriors India has ever known, to a stunt queen, turning the film in the bargain into an outright travesty of cinema. The story of the queen's short but glorious life deserves a movie all right but a much better one than this. In one surprising sequence, the Rani of Jhansi speaks unblemished English although the audience is never introduced to her language tutor. Stating that "words without culture have no meaning" - yes, in so many words and in Queen's English - she proceeds to extol the virtues of the mother tongue. "Matrubhasha maa hoti hai," she declares. Like much else in Manikarnika, this comes out of nowhere and leaves you scratching your head in disbelief. In other scenes, the Rani runs and leaps like a champion athlete and mounts her steed with a hop, step and jump. We are expected to gape at the spectacle in wonder. We might have done so if only her exploits were lent a touch a believable humanity. She strikes no chords because all she does is deliver homilies on patriotism, courage and national pride. There is no room for nuance here. The real woman behind the irrepressible patriot is lost in the din. In another crucial scene, the Rani's husband, Maharaja Gangadhar Rao Newalkar (Jisshu Sengupta in an extended role in which he isn't allowed to use his own voice), likens the bangles he wears to handcuffs, an emblem of enslavement. Why a film about a female ruler and warrior of unparalleled stature should treat a woman's accessory as a symbol of servitude is beyond comprehension unless one presumes that the makers of this movie do not know better. The fact that Manikarnika, in an opening disclaimer, lays no claims to historical accuracy cannot, however, absolve its makers of the blame for producing a film so astonishingly inept. This despite the fact that it loses no opportunity to whip up exuberance - beginning with an introductory voiceover by Amitabh Bachchan drawing our attention to the hinsaa (violence) and atyachar (tortune) that the British East India Company unleashed on this "pavitra" bhoomi. By turning Rani Laxmi Bai's valour into pulpy posturing about her wanting to be a mashaal (fire) of azaadi (freedom) in the hearts of her people for all times to come, the ho-hum screenplay (by KK Vijayendra Prasad) delivers a comic-strip rendition of a memorable, if tragic, chapter of Indian history, shorn of its intricacies. It captures neither the exemplary heroism nor the pathos of the queen's life. The Sepoy Mutiny of 1857, which triggered a widespread rebellion against the British rulers and was a key juncture in Rani Laxmi Bai's life, is ill-advisedly glossed over. The film does devote sufficient footage to the birth and death of her only child as well as to the premature death of her husband, but the titular figure's single-note demeanour allows for no depth in the characterization of a woman who broke every conceivable societal norm of her times. 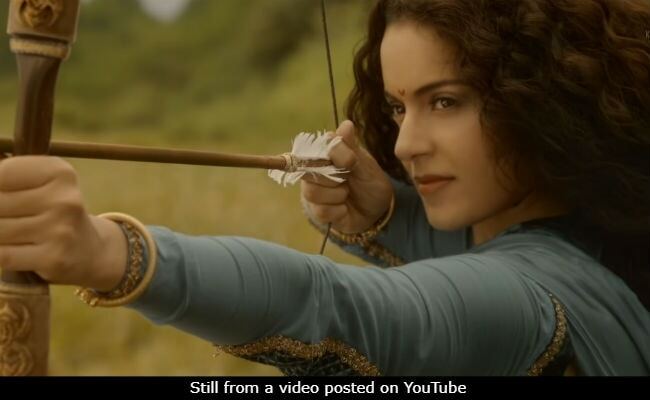 We first see Kangana in 1842 - when Rani Laxmi Bai was 14 - using a bow and arrow to stop a tiger from pouncing on a hapless goat. The next thing we know is she is nursing the predator's wound and then setting the creature free. A little later, she saves a calf from ending up as lunch for British officers. Can a film about nationalism be complete today without an act of gauraksha? The queen lived for 16 more years from the time she incapacitates the tiger and the character passes through different stages of that time-frame, but no perceptible change registers on the actress' visage, which, in any case, is behind so much cosmetic goop that it rules out the possibility of any tangible emotions filtering through the layers of make-up. Kangana settles into a predictable pattern. She smiles through many of the most difficult situations that the rani faces, sports a smirk when she has to exude insouciance, goes all wide-eyed and holds an unblinking gaze when the idea is to convey obduracy, and raises her voice several notches to represent unbridled rage. All through the film, Kangana flits from one of the above moods to another, but the film never sheds its monotony. Especially mechanical are the battle scenes - they might be sporadic but when one erupts it goes on forever, consuming a lot of the film's two-and-a-half-hour runtime. The cast of Manikarnika has some actors of proven class - Danny Denzongpa in the role of Mohammad Gouse Khan, Rani's Laxmi Bai's trusted cannon expert; Atul Kulkarni as freedom fighter Tatya Tope (a leading figure in the First War Of Independence) and Mohammad Zeeshan Ayyub essaying the character of a treacherous man whose designs on the Jhansi throne are thwarted - but none is allowed the space to rise above the overwhelming mediocrity of the material. Not surprisingly, the British colonial officers, played by the likes of Richard Keep (General Hugh Rose) and Edward Sonnenblick (Captain John Gordon), are bad-guy caricatures. They have even less of a chance of making a mark. Manikarnika is Kangana Ranaut all the way. Her belief in her ability to carry a historical saga of this scale on her shoulders is touching, even admirable. But her move into the director's seat couldn't obviously have helped the film's cause. She is everywhere, even where she isn't required. The result of the overreach is an overstretched, exaggerated drama that huffs and puffs its way through many a zone of utter redundancy.